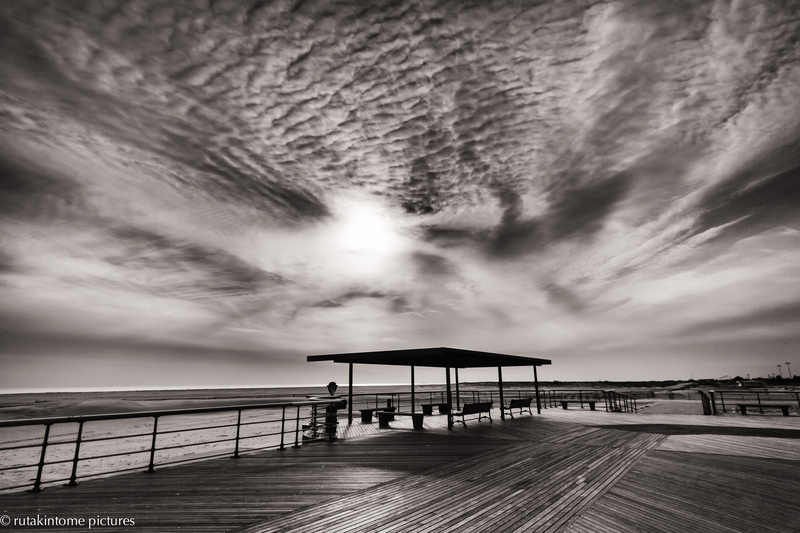 Back to Jones Beach State Park for this post. This is part of a series of images were taken back in January on a rather cold and dull day, so it has been fun working with the pictures to try and find some detail and perspective. I love the shore when it is like this…quiet…deserted…salty air…loud, winter surf…time speeds away and slows down all at once…if that makes sense…..
What a beautiful mood in this. Gorgeous! Love that cloud pattern. Nicely composed.